Pearce Fitting and Coaching is located Boulder, Colorado. This space is shared with Panache Cyclewear and The Service Course as part of the Boulder Cycling Collective. 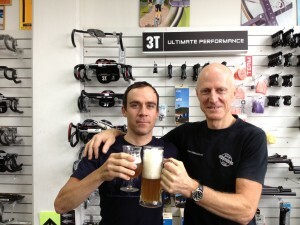 In February 2012, I flew to Sydney Australia to be mentored by Steve Hogg as a bike fitter. For a month, my exclusive purpose was to live and breathe bike fitting as I trained with Steve on a daily basis. I absorbed as much information and experience as possible from Steve during this time. The apprenticeship was invaluable and now I am fitting riders using Steve’s philosophies as a basis for my methods. Living in Sydney and training with Steve was an intense experience. Applicants for his apprenticeship program are chosen carefully. Showing up and measuring saddle height is no guarantee that the student will receive Steve’s certification. This is not a weekend course with lectures where you receive a certificate at the end. The apprenticeship is undertaken on a pass/fail basis and culminates with the student demonstrating his abilities to Steve’s satisfaction in a complete fit from start to finish, on a live client. Steve is without a doubt one of the best bike fitters in the world. His methods are unconventional by some standards, but they have been refined over years of trial and error with thousands (yes, thousands) of clients. 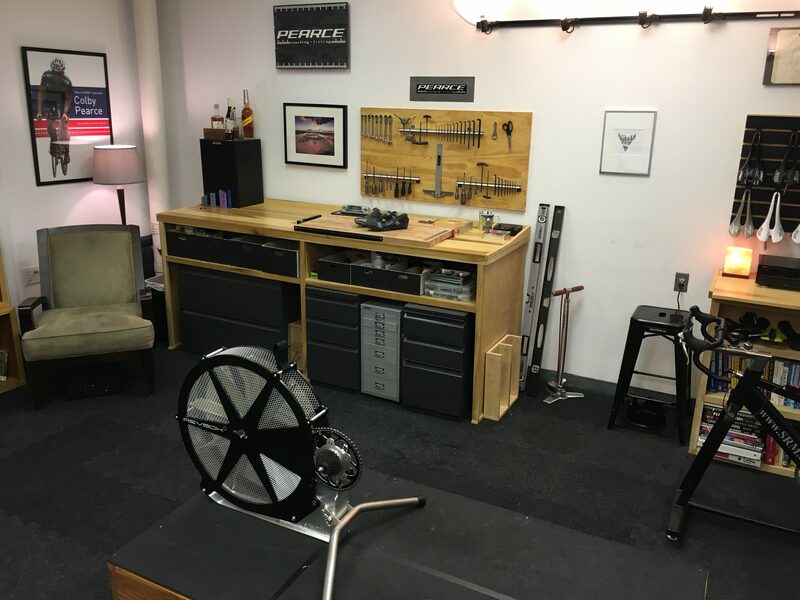 Steve has taken the time to research alternative methods of bike fitting, human physiology, functional anatomy, and neuroscience to connect the dots that most fitters have not explored. Steve’s fitting approaches clients from a very ‘big picture’ perspective and thus benefits clients on a larger scale than simply adjusting some dimensions on their bicycle. His fitting methods do not use a “fit system” or pre-generated formulas, but instead rely on detailed physical assessment of the athlete in combination with precise cues from the structure of the rider. His basis for fitting is founded on establishing clear proprioceptive communication throughout the body, notably between the feet and the shoes. The end result is optimal position for the athlete based on their individual needs, cycling goals, and abilities. The best bike fitters use a blend of old school observation and new school science where it is appropriate. Like any complex methodology, bike fitting sees the body-mind for what it is: a system of systems. In some instances, hard science can provide objective data, and in other aspects, fitting is reliant on the human eye to see when muscles move with supple action, or when a client’s rhythm naturally increases without effort after a change is made. This ability is honed over years of study and observation in the sport. Steve fits his clients on a Money Back if not Satisfied basis. If the client is not happy with the services performed, and a satisfactory solution to any ongoing problems is not found, a complete refund is issued. In my experience, very few bike fitters offer this guarantee and I have elected to operate my own fitting business this way as well. I think it is a means of doing business with integrity and genuine intent to help others. Of course, some clients may have on the bike issues which can only be improved or solved off the bike via body work, physical therapy, yoga, stretching, massage, acupuncture, or other means. I am not suggesting that a bike fit will solve all of your problems, or that 100% of your problems on a bike can be solved through a fit. To this end, I have assembled a trusted network of individuals whom I can refer clients to when they require assistance that is beyond my means. In 2018, I become a Chek Holistic Lifestyle Practitioner (level 1). This program will increase the skill set I can use to assess and assist my clients during fitting and coaching sessions. I will continue my education with Paul Chek in 2019. While I received my primary fit education and guidance from Steve, he is adamant that each of his trainee’s are not “clones” of him or his work. Working with me as a fitter is not a guarantee that I will use all the methods Steve does in his client sessions. I consider my fitting to be an opportunity to work on a personal, detailed level with clients and impact real positive change in their lives. In order to optimize the transition to the changes made during a fit session, proper steps must be taken to ensure the athlete settles in correctly to the work that has been done. 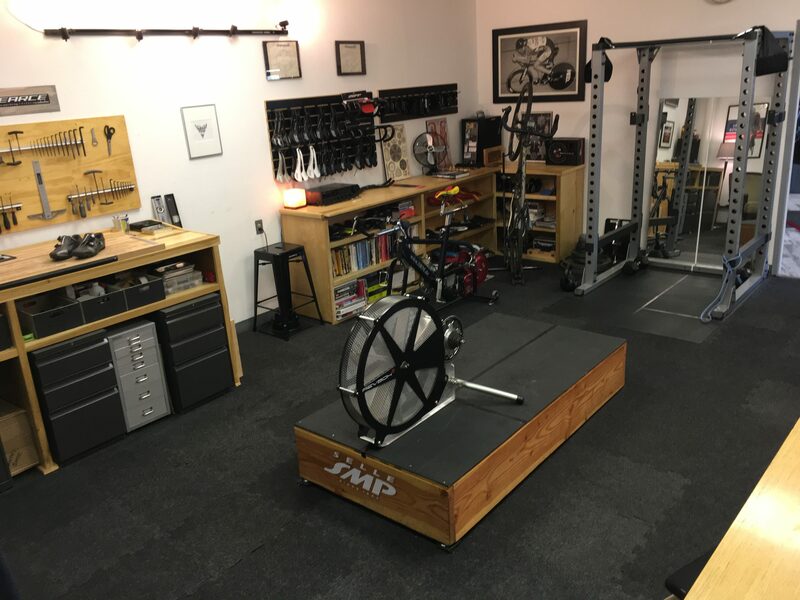 There is an adaptation to any new bike fit, and several factors contribute to how effectively and quickly that adaptation is made. Critical to the success of the new fit is the education of the client; why the changes were made, how posture should be held, and how power should be applied to the pedals in the new position. Without these elements, the rider will be trying to ride using old technique with new contact points, which will be less than optimal. I don’t expect to do everything perfectly (although that is my aim) but I find it unacceptable that both clients and fitters consider this to be industry standard. If hundreds of dollars are paid for a professional service and it was less than perfect, in any other field of service the consumer would (justifiably) throw a fit. Cycle fits should be held to no lesser of a standard. To read about Steve and his philosophies, goto www.stevehoggbikefitting.com. This option is available for clients who have already had a physical assessment performed by me or another qualified individual, or have a more specific bike fit issue they want to target. If after an appropriate adjustment time of four to six weeks, and with subsequent adjustments if necessary, the client does not agree that I have done a satisfactory job of significantly improving his or her fit, I will refund the price of the fit.